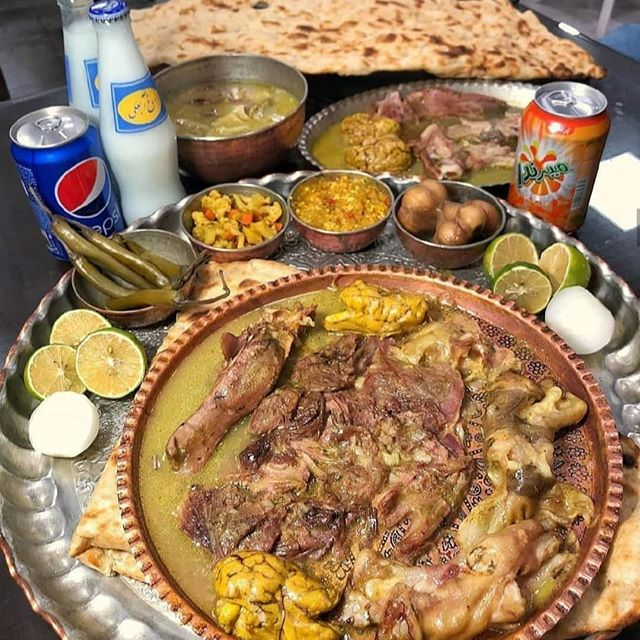 Kalle-pache, which literally means [sheep] head and trotter in Persian, is cooked in different countries almost in the same way. 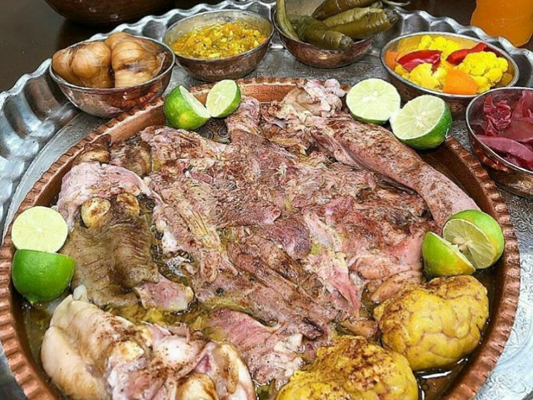 It is prepared by cooking the head, arms, legs and the inner organs of the sheep (or calf). It includes the tongue, brain, eyes, head’s flesh and trotters of the sheep.